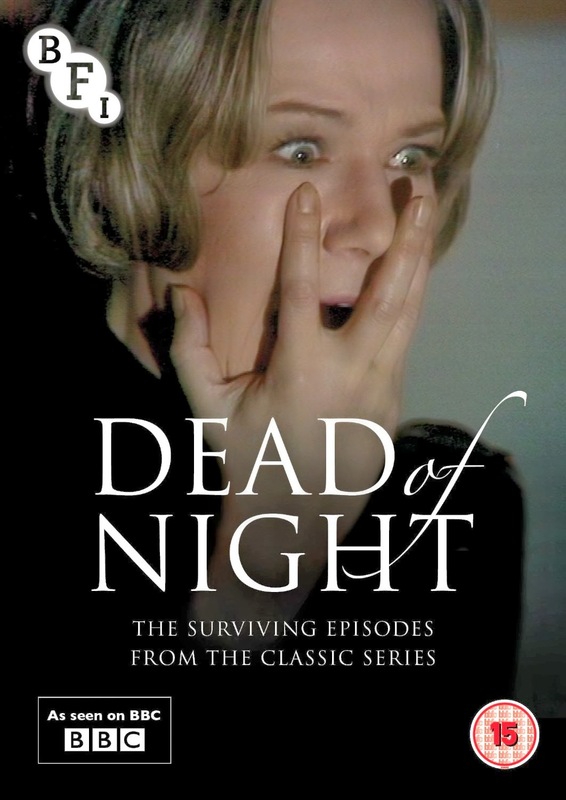 A Woman Sobbing was part of the BBC’s Dead of Night horror anthology series from the early Seventies. Unfortunately not all of the episodes of the series have survived – three out of seven are all that is left, but they exemplify the series perfectly, capturing that unmistakably creepy and strangely nostalgic feel of ‘hide behind the couch’ television horror from yesteryear. 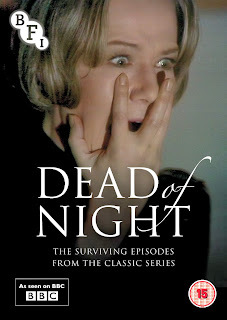 A Woman Sobbing tells of Jane (Anna Massey), a middle aged woman who, after moving to the country with her family, begins to suspect that her home is haunted by a baleful spectre who ceaselessly weeps throughout the night in the attic room above Jane’s bed. Like many great ghost stories, the most haunting aspect of A Woman Sobbing is its ambiguity. Like most of the other episodes of the series, it unfurls as a study of psychological breakdown in modern society. Supernatural elements are present, but vaguely so. Jane may very well be haunted by a distraught ghost, but then again, it could all be in her mind. As a lonely middle aged woman, she struggles to while away the hours until her husband returns from his office job in the city and her sons come home from school. Before long though, she begins to feel estranged from them. They cannot hear the crying in the attic and her feelings of isolation and helplessness gradually render her incapable of interacting with them. Relations turn cold in the bedroom too, and not just because there might be a ghost in the attic above. With the focus of the story on a woman descending into despair, confined by marriage and conservative society, A Woman Sobbing contains indisputable traits of the Gothic. Robert Holmes’s script successfully transfers the Gothic from storm-lashed turreted castles of yore to British suburbia in the Seventies. Repressed emotions, mental anguish and the past returning to haunt the present are all themes which thickly course throughout. Visually too, it contains certain imagery imbued with high-Gothicism, utilised to interesting effect given the modern setting; Jane timidly ascending her stairs to the attic room – where things are stored away to be forgotten - wearing a flowing white nightgown - she may as well be carrying a candelabrum - while striking lighting and shadows create a sense of menace and unease as she tiptoes throughout her increasingly creepy home. Echoes of Charlotte Bronte’s Jane Eyre, Charlotte Perkins Gilmore’s The Yellow Wallpaper, the suicidal despair of Sylvia Plath and myriad titles by Shirley Jackson (no one does marginalised and paranoid female characters like Ms Jackson) and other such notions of the Female Gothic permeate proceedings. Thoroughly adult themes are addressed, such as sexual frustration, the menopause, the loneliness of middle age, isolation, gender roles and mental illness, as A Woman Sobbing poses some pointed questions about the plight of women in modern society – many of which still ring true. Patriarchal society still dictates that women are expected to raise the children and stay at home; it certainly still works to make them feel guilty, or that they’re somehow less of a woman, if they don’t. Or can’t. But what happens when she’s not dutifully serving the rest of her family? Jane finds herself left alone during the day with no outlet for her pent up energy, nor stimulation for her initially quick wit. When her husband tries to explain away her fears of a weeping ghost in the attic, he says Jane is so bored her imagination has got the better of her. The patronising git. When she can’t sleep he impatiently, dismissively tells her to take another pill, highlighting the issue of middle-aged housewives dosing themselves up on anti-depressants and sleepwalking through the day because they’re going out of their mind with loneliness and despair. Her concerns aren't addressed, they're numbed. As Jane, Anna Massey is movingly convincing as an intelligent woman slowly consumed by her fears. Things come to a head when a young Dutch woman is hired as an au pair and Jane’s paranoia increases – is her husband having an affair with this woman? The crying in the attic drives her to smash through walls with a pick-axe in search of the wailing entity. She pleads with the au pair, beseeching her to confess she too can hear the sobbing because she’s a woman and she ‘understands’, before performing a kitchen-sink exorcism of the house with water, salt and desperation. Is the house haunted? Can only women of a certain age and mindset hear the ghost, if indeed there is a ghost? Is it her own helpless sobbing that Jane hears, somehow fracturing her own mind trying to distance herself from her unhappiness? The ambiguity only adds to the haunting feel of this masterful domestic horror tale. I highly recommend this, Wes. I picked up the DVD a few weeks ago and was very impressed. The opening titles alone are creepy as hell. I really wish the BBC still produced stuff like this. I've also caught a few episodes of Hammer House of Horror on the Horror Channel, but the BBC/BFI stuff is quite different. Yes, much of it has dated, but it's still quite potent; especially A Woman Sobbing. Confession time. I've never seen Let's Scare Jessica. I need to rectify this. STAT. Christine over at Fascination With Fear has been recommending it since forever. Thanks for your comment, Steve. You've really grasped what this blog is all about. Apocalyptic scripture aside, what kind of horror are you into?